My Father, RELEASE unto me, the ANGELS of POWER! in the name of Jesus. O God Arise, and let Your Power FIGHT FOR ME! in the name of Jesus. And to read my Bible. At verse 14 something strange happened! Israel changed the rules and blessed the younger son above the elder! The man of God said categorically that GOD CAN OVERULE ANY LAW TO SECURE YOUR BREAKTHROUGH!!! At verse 18, Joseph protested against the ‘abnormality’ but Israel shut him up with prophetic conviction. Every protest against the organised breakthrough of God for your life shall be silenced permanently in Jesus name!!! Any law that needs to be suspended for you to secure your breakthrough, BE SUSPENDED NOW!!! in the name of Jesus. Any law of satan in any family here, let it be BROKEN TO PIECES now! in the name of Jesus. The story was told by the General Overseer, of a sister from a polygamous family who broke the demonic law of limitation by being the first and only one to receive university education out of 17 children from that family. She also broke the rule by being the first and only one to get married in that family, other children were unmarried vagabonds, illiterate and roaming about the market square of life. On her wedding ceremony, the senior witch and first wife of her father danced to her side and whispered to her ears that, their coven only permitted her to go thus far, and from now on, she would never get pregnant! she danced away and nobody knew what she said except the bride. From that day and for the next two years her mensuration ceased completely… until the turmoil and tribulation drove her to the Mountain of Fire and Miracles Ministries (MFM). Every power dancing against me, Be DISGRACED!! in the name of Jesus. Any power dancing to destroy me, what are you waiting for? DIE!!! in the name of Jesus. The Lord God Almighty would Change the rules for my sake, in the name of Jesus!!! 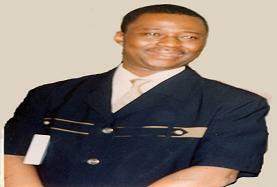 Dr. Olukoya said: “MFM is the Intensive Care Unit (ICU) of God’s hospital. When cases become acute and critical, people always run to MFM, we are not complaining”. “When that sister came, I asked her what she wanted, is it a baby or mensuration, she said: ‘a baby sir’. God did it, that sister got her miracle, she got pregnant and gave birth. The testimony there is that the senior wife who was behind that problem also surrendered to Jesus when she saw higher powers in operation. Today, they are both members of MFM”. In Esther 4:16 “… which is not according to the law …” Esther overruled the law of the accessing the king, she did it without permission, but with a violent and fiery faith, and obtain outstanding favour from the king. God can change any government for your sake! Another fresh testimony, a few months ago, a woman was going to India for surgery to replace her two failed kidneys. She came for a bottle of anointing oil and we gave her. After the surgery all the five patients who had the same operations developed complications and began to lose strength. The woman reached for her anointing oil and drank a little and anointed her forehead. Energy from heaven came back into her and she rapidly recovered. When the other 4 patients saw the dramatic recovery they begged her to give them that same anointing oil and she did, the 4 of them too rapidly recovered to the shock and astonishment of the doctors. On getting to her hotel room after discharge, she discovered that $5,000 U$D has been stolen from her room. She carried the anointing oil again and anointed the floor of her room, commanding the thief to return the money because she pays her tithe. By the next day, one of the hotel workers was carried to her room. His leg was swollen and was writhering in pain. He returned the $5,000 and begged the woman to pray so he could recover his leg. Strongman of my father’s house, contesting with my angels of blessings, DIE!!! in the name of Jesus. Any power stealing from me, Be Disgraced!!! in the name of Jesus. My life, DISOBEY every satanic regulation!!! in the name of Jesus. Every power lighting evil candles against me, Die with your candles in the name of Jesus. Every evil clock working against my life, BREAK TO PIECES!!! in the name of Jesus. Every satanic law behind stubborn walls, BREAKKKKKK!!!! in the name of Jesus. Every law tormenting me, DIE! in the name of Jesus. Where is the Lord God of Elijah? Change my Identity to Fire!!! in the name of Jesus. I fire the arrow of blackout on the camp of my enemies, in the name of Jesus. The spirit of death and hell shall not overtake my life, in the name of Jesus. (Put your name here) DISOBEY EVERY SATANIC LAW!!! in the name of Jesus. 12 Comments on "O God Arise And Change The Rules For My Sake – Sunday Sermon and Prayers By Dr. Daniel Olukoya"
This is a powerful exposition.Thanks Sir ,we can,t afford not to pray. This exposition is not powerful, it is POWER itsefl !!! Meanwhile if it is permitted to pray for the GO, “Let God Arise, turn Dr. Daniel Olukaya to FIRE!!! In Jesus name. Become Fire, Holy Ghost Fire! Become Fire, Holy Ghost Fire! Become Fire, Holy Ghost Fire! Become Fire, Holy Ghost Fire!Become Fire, Holy Ghost Fire! In Jesus Mighy Name, A m e n.
I prophesy in the Name of Jesus that the God that answers by fire has already changed the rules, regulation , policy, government, system, organization, ungodly institution for me and my family’s sake!!! I will come back here not very long from this day (before the end of February 2011), and give testimonies to God’s greatness and sovereignty. I have challenged God on this matter there is nothing to hard for HIM. Thank You Daddy. He has done it for me and my family. I was opportuned today to go through this great exposition.More strength to you sir from the throne of grace and God shall never allow you to compromise your faith in Jesus mighty name. @Elizbeth N: meningioma shall die today and the resurrection fire of Christ shall revive your brain, your health and your life in Jesus name. I lay the Hands of Fire of the Lord upon your brain now, let every tumor succumb to that fire and be consumed by Jehovah’s inferno in Jesus name. Peace to you as you return with singing and testimony in Jesus name. I pour the Balm of Gilead over your brain now, Be HEALED by fire in Jesus name. By divine faith,I soak myself in this order of deliverance oil.Power to operate this anointing be multiplied in the body of Christ wordwide,Amen. I pray for divine restoration and peace in my life!I break every ancestral curses tormenting me in Jesus Name! Let every evil plans against my life backfire in the Mighty Name of Jesus Christ! I pray for salvation of my family members especially my elder brother! I jusy discover this powerful message and declaration frm heaven through his Anointed DK Olukoya…even if it was happen few years ago…the Words fo God will not return unto Him til Its has done Its work as I receive it as mine today. amen, So, please join with me by fire prayer that God Changes government for my sake as He as done for Esther…..My problem is: I am under deportation’s law form a failed asylum seeking in Sweden, but then i met my to-become husband few time i came in Sweden, and we ae married since more than 3 years, but the Swedish government doens’t want granted me the permanant permit to stay with him because of the deportation’s law form the old case of asylum seeker….please, pray for me that God Changes rule and I can apply within Sweden and grant my permit to stay….thanks…and may God strenghten more and more his Anointed one.